Testimonials as Text Links: One of the most effective advertisements for a product or service can be a customer testimonial. With all of the hyped up advertising copy out there, consumers are skeptical marketing efforts. This can be difficult to overcome, but as an affiliate, your job is to pre-sell the offer and initiate the relationship of trust between the consumer and merchant. Leverage the Headlines: Every day, there are stories in the headlines that can be related to a product or service that has an affiliate program. Sometimes the connections are more obvious than others. Data Feeds for Newbies: Data feeds are a great tool for affiliate marketers to build robust sites dedicated to an individual merchant. The data feeds enable affiliates to create database driven sites with up to date product information for a company. Google Alert the Companies You Promote: One of the biggest challenges for an affiliate is to determine which affiliate programs to push and when. You can guess and speculate, but that sort of scattershot promotional effort will likely result in poor returns. 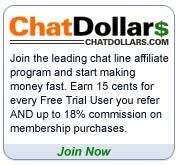 Subscribers for Your Blog: More and more affiliates are using blogs to promote their affiliate links. Conventional wisdom is that blogs should be syndicated by RSS (Really Simple Syndication). Affiliate Coupon Code Network: Some of the most successful affiliates are making their money by sharing coupon codes and having their visitors go through affiliate links to make the purchase. Opt-in E-mail Incentives: You've got an e-mail newsletter for your site, and it grows from day to day, but you want to see more people subscribe. Rent a Coder: I've often labored over the creation of forms and designing images for my sites. I eventually get it done, but if often takes an extended amount of time for these projects. Shrink Your Affiliate Links: Affiliate links are often long, which makes them difficult to include in text e-mails. Also, many affiliates like to cloak their links.